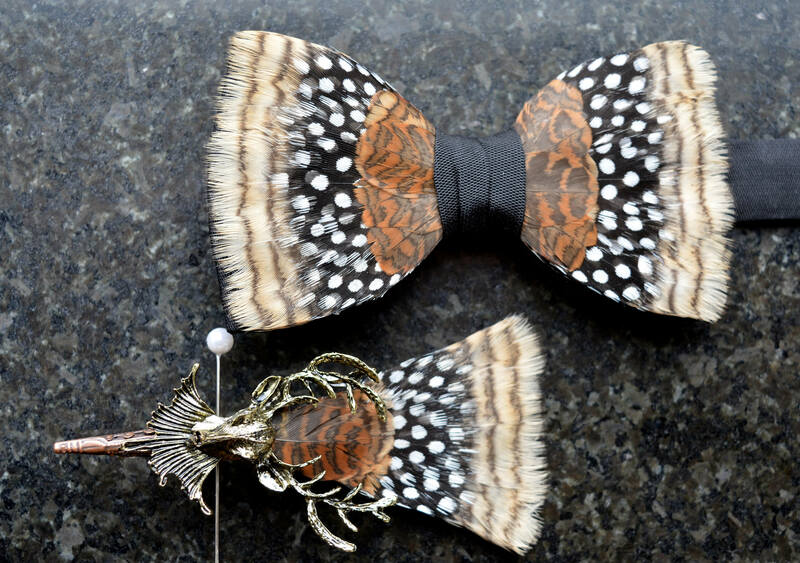 HENLEY ROYAL REGATTA Feather Bow Tie and Lapel Pin Set. Henley Royal Regatta is unique and unparalleled. Established prior to national, or international, federations, it is rare in that follows its own rules and this Henley inspired design by Plumassier artisan Tracey Telford opts to do the same. 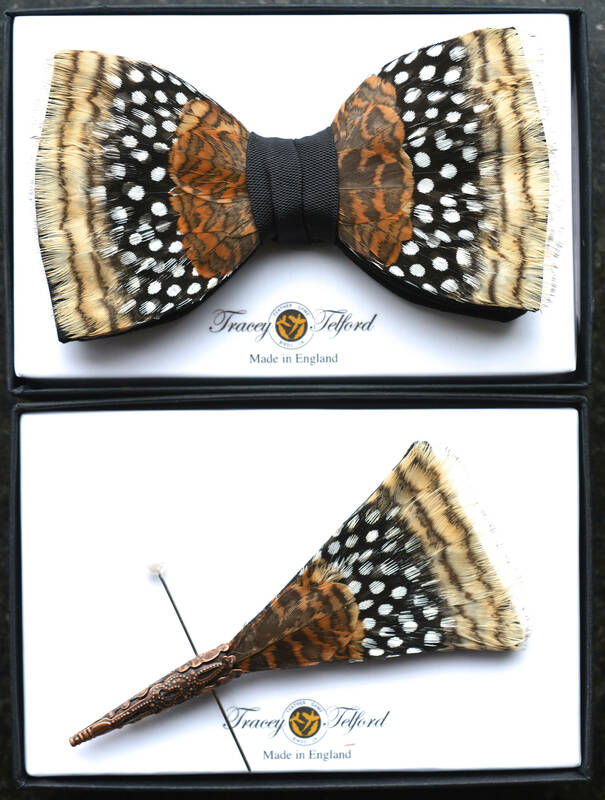 Woodcock feathers are becoming extremely rare in the UK, and this stunning mix of Woodcock and Guinea Fowl feathers, set like droplets of water spraying from the rivers waves, makes this design, just like Henley, have a ‘a knock-out draw’. To align with the brown, white and black genuine natural feathers, this Henley design has been set on a quality black silk base. 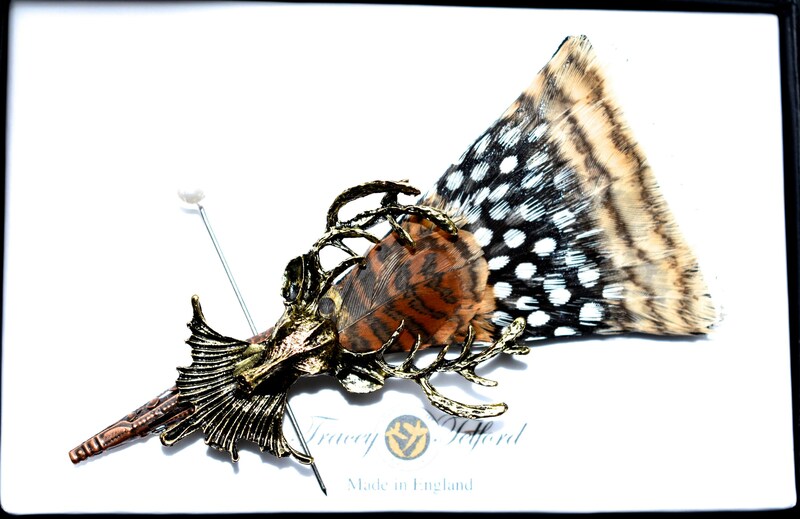 Being individually hand made, however, it can also be made available on quality satin and a range of others base colours could also be selected, to align with your preferred design aesthetic. 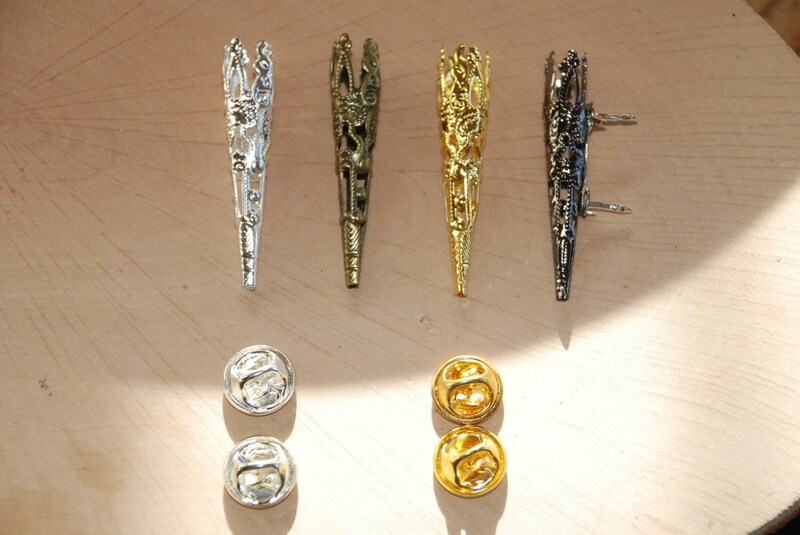 The metal pin is available in a choice of silver, rose or traditional gold colours and has a locking mechanism to hold the design firm during wear. 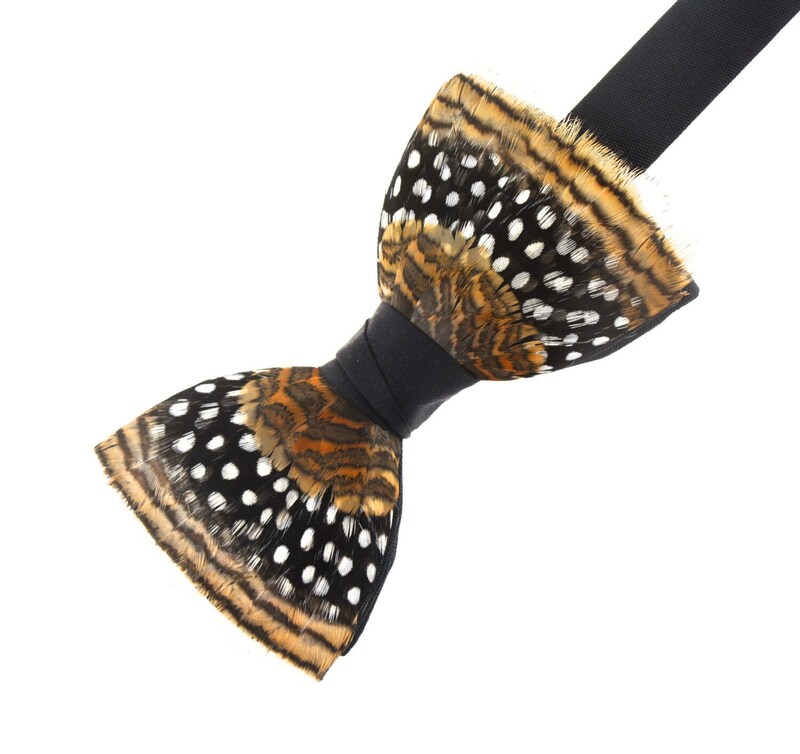 Complementing designs of feather pocket squares, wrist corsages, hair clips, bridal bouquets, and fascinators are also available, making perfect design matches for group events, bridal parties and collectors alike.